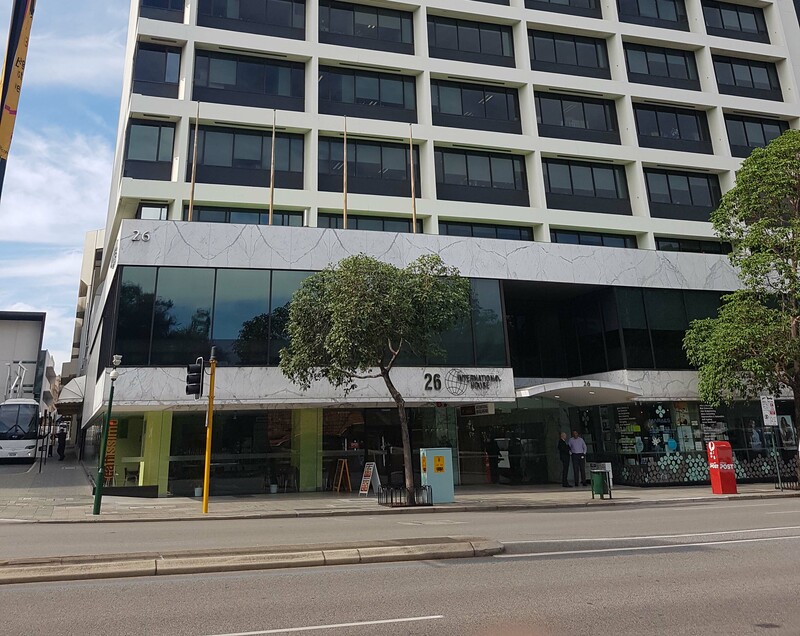 Our office is located inside International House which is on the corner of Irwin Street and St Georges Terrace. Paxman & Paxman Criminal Lawyers are located inside International House at 26 St. Georges Tce. We are located in the arcade which is on the ground floor. There are two ways to get to our office: from Irwin Street or from St. Georges Terrace. 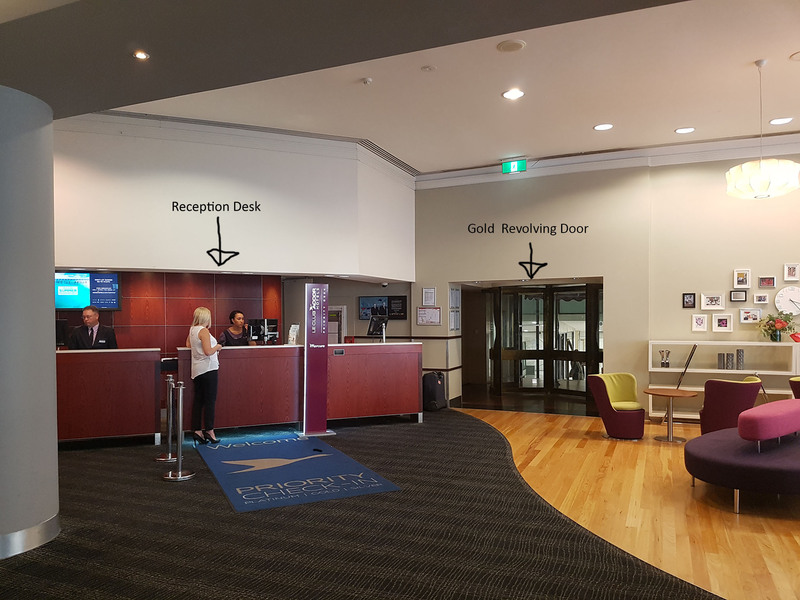 From Irwin Street via the Mercure Hotel: Enter the lobby of the Mercure Hotel from Irwin Street. As you look towards the reception counter there is a gold revolving door to the right that leads into International House Arcade. We are the first door on the left on the other side of the gold revolving door. From St. Georges Terrace: The main entrance to International House is from St Georges Terrace. Walk through the main entrance and continue straight ahead towards the elevators. There are security barriers surrounding the elevators. Follow the signage to your left towards the arcade. At the end of the arcade you will see a gold revolving door. We are the last door on your right before the gold revolving door. 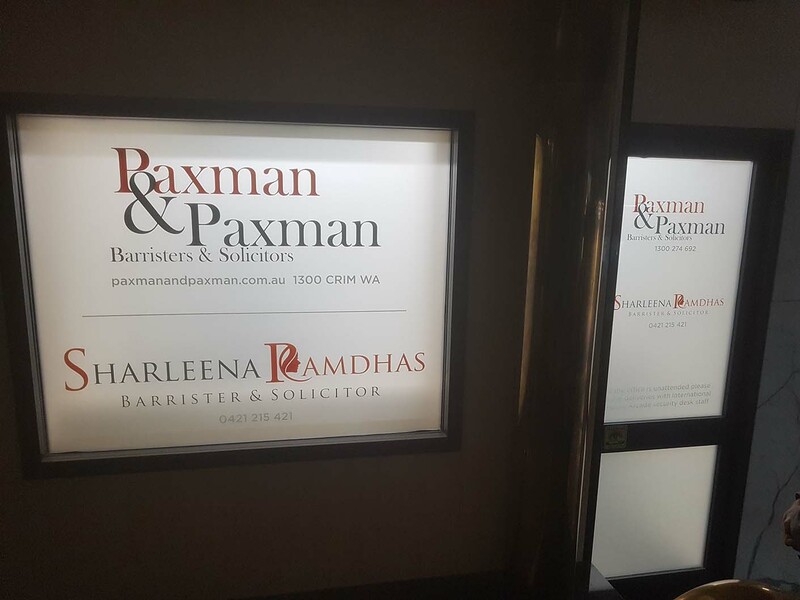 Paxman & Paxman criminal lawyers in perth can be accessed via the Mercure Hotel on Irwin St. There is a concierge desk on the ground floor of International House near the elevators. If you can’t find our office, just ask at the concierge desk and they will assist you. You can also call us on 1300 274 692 for directions. Parking: the best place for parking is the City of Perth car park underneath the Perth Concert Hall and is accessible via Terrace Road. Alternatively, you can try the Fire Station car park next to the new Westin Hotel, however, is often difficult to find a space there. There is also 1-hour street parking along Hay Street. This entry was posted in How-to Guides, Paxman & Paxman and tagged directions, how to find us, office location, parking. Bookmark the permalink.